It is in the far future. The human species has diversified. Alongside the seed-forms of the Unevolved (ordinary humans) live and work the Augmented, people who have been forged, not born. Nonetheless the Augmented are human beneath their vast and complex biotechnological bodies which allow them to live deep in the oceans and out in space. As far as they're concerned, however, the old ties of blood and genes may just be ancient history. When a new solar system is found, containing an Earth-like world, full of abandoned alien cities and devoid of intelligent life, the Augmented see it as their Forge-right to claim this place as a homeworld. After all, the aliens who once lived there have followed the same path beyond the limits of genetics and organics, adapting themselves to new environments, and heading for the frontiers of deep space. "Thought-provoking.... 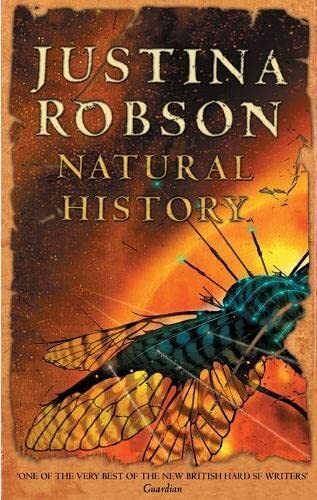 Fans of the sweeping, politically and psychologically aware space opera of Iain M. Banks and Ken MacLeod will be intrigued by Robson's setting and the new slant she takes on universal questions." --"Publishers Weekly"
Widescreen science-fiction adventure from the author of SILVER SCREEN.